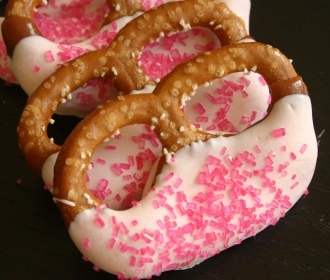 Our signature Caramel Pretzels are made extra sweet for Valentines! Dipped in White chocolate with a sparkling pink sugar sprinkle. Comes in an adorable tub with bow.